Easier & less expensive to use ME? Discussion in 'Transportation' started by frannn, Feb 12, 2019. We're toying with the idea of not renting a car and using ME this August. We've always rented a car for past trips, but were burned last year by Dollar claiming we caused a small scratch and is trying to charge us 300 to repair. Scratch was there when we picked it up, but we did not document it. Plus, Disney now is charging for parking per night, which will cost us about 200. ME would avoid the hassle and cost, plus it would be awesome to not have to deal with our 3 checked bags, but we don't want to do it if it will create a lot of extra time spent and stress. We don't park hop a lot, maximum 2 parks/day. We will stay at Pop this year, and will have maybe 5 or so ADRs that are at other resorts (Ohana, HDD, CM, etc). We will go to the outlets at least twice, but can use Uber. Other option would be to pick up a car in the middle of the trip form one of the onsite Alamo places. Anyone have any advise, insight, or experience to share? Well it's certainly less expensive, because it's free. marcyleecorgan, VAfamily1998 and Searc like this. I don’t even consider renting a car when we go to Disney because of the Magical Express! As soon as you’re off the plane, your vacation officially begins! No having to get luggage, pick up the car, pull up your maps, and drive and park.. personally, I go on vacation to escape from those things! If anything, ME takes away any hassle and stress (at least in my experience). And once you’re there, there’s plenty of transportation options - Bus, monorail, boat, Uber, Minnie Van.. give it a shot! marcyleecorgan, VAfamily1998, karpy111 and 3 others like this. I've been car free for every on site trip. Everyone has their threshold of hassle though. You can always uber/lyft to Ohana/Chef Mickey assuming you're past the car seat phase. We always rely on Disney transportation - at least 4/5 trips a year as for me not driving is one of the best parts of being on vacation. You may have to wait a bit now and then but in the grand scheme of things its worth the cost and convenience for us. DME from the airport will make a few stops (usually 3, occasionally 4) but the average trip is 70 minutes, about 30 more than a straight drive. Having your bags delivered to your resort room eliminates that wait and hassle though. Since POP doesn't share with other resorts we find the bus service quick and efficient, you also have direct park to park transportation via bus, boat, monorail. Getting from resort to resort can be tricky so this is where we use uber/lyft and its much less $ than a rental. DME from the airport will make a few stops (usually 3, occasionally 4) but the average trip is 70 minutes, about 30 more than a straight drive. I'm not sure that's apples to apples. Actual drive time is 25-30 minutes no matter who's driving. The additional time using DME is offset by the time needed to get one's luggage, and then the car. You need to first find or choose your car, document any existing damage , load it, and (typically wait in some length of line to) check out. Maybe you save ten minutes. Maybe. Babsy, writerguyfl and tjmw2727 like this. If you really need a car for a day just pick one up at the Disney onsite car rentals. Our one day rental was $43.00. I always used DME when at WDW...worked very well. But when my dd became a CM, I started making more frequent trips! And I've started staying off-site more often, so have to have a rental. But, if I'm staying at a WDW resort, and then moving to an off-site resort, I will rent a car just before I need to make the move. When I rent a car, I go straight to the garage (at MCO) but I do have to stop at baggage claim first...so that's about 30 mins total at the airport. Add in 35 mins to get to my hotel/resort. So, usually an hour after arriving at the gate. If I use DME, it's usually less than 90 mins from the gate, unless for some reason I have to go to baggage claim (that seldom happens). Going without a car can be an adjustment when you are used to having one. I still do resort ADRs, but I try to go with ones that are easier to get to via a park/DS and just allow extra time. If I get to the resort too early, I can always find something to do or sit and relax. I will say that in the last few years, I do tend to use a car service at few times each trip for some of the resort ADRs. Usually, if I am running late, I might use a car service to the resort and then take WDW transportation back. If I have a later ADR and I would be in the middle of the crowds leaving a park, then I might take a car service back. I have even done the MV once to MK, before they changed the rates, but that was Easter Sunday and the bus area was already packed enough that I knew it would be a couple of buses before I could get on. We hate ME to WDW. I used it a few years ago and it wasn't too bad. We normally get a rental because we like the freedom it gives us, but this past Dec. we used ME. The line was long just to get to the check in podium. Everyone was grumbling because we weren't even in the maze of the line to get to the bus yet. Never again if we can help it. You might have better luck, many people do, and with 3 large bags that would make a difference. Being DVC, we get free parking too. Now, on the other hand, the ride back to the airport had no issues. Disney transportation can take up quite a bit of your time - ME, monorail, buses. My solution is to book rooms that are walkable to parks and restaurants, as I don't care to spend that much of my time on transportation. On my last trip we stayed at BLT and spent 45 minutes getting to an O'hana reservation. The next night it took us 45 minutes to get from GF back to BLT. My kids are small, so Uber and Lyft aren't options (I've only been able to find where you can reserve 1 car seat and I need 2) so Disney transport is my only option when I don't have my own car. I hate it and won't book meals that aren't in resorts or parks we are already at. ME took FOREVER for us - we had to wait in long lines to check in, then ME stopped at 4 other resorts before taking us to POR. Again, I'm traveling with small children who were tired and frisky - if they were older I am sure it would have been a much more peaceful journey. Going without a car can be an adjustment when you are used to having one. We hate ME to WDW. And yet I’m using it next week. Sigh. The next day, however, I’m picking up a car from Dolphin and will have it until extended family joins me, and they’ll have a car. I go offsite a lot (sweet tomatoes, yard house, maybe the Tervis store, maybe universal, etc) and it’s just not worth it to me tobe without. OP, hopping isn’t that hard without a car. There are buses (or monorail if appropriate) to hop between parks. I was someone that always got a car ( usually a compact ) because, frankly, I am very type A and didn't want 'waste' time waiting on the ME. Well, on my 1st trip with my now husband he hated the idea of driving while on vacation ( he drives for a living ). I was OK with it but he talked me into taking the ME instead. I have to tell you, I don't think I'll ever rent a car again. I've taken ME twice since our 1st trip and there was no wait to speak of either time to board. The 1st time, we were one of the last people on the bus so it left pretty quickly. The 2nd time, we waited about 10 minutes until we left. There were about 10 people onboard before us. Now for transportation once we were on Disney property, we really liked the buses too. We did have 2 different experiences regarding time and that was due to the resort we stayed at. 1st trip POR - this location is a short bus ride to MK, EP, HS and DS so waits weren't too long and neither was the drive time. 2nd trip AKL - this location is only close to AKL. Wait times were still very good but the time it takes to get from point A to B is obviously much longer. So I think location came make the difference on your experience with the buses while on property. Disney Ron It's not a lie, if you believe it. We used to always rent a car, but last year we used ME and Disney transportation on property. Between the games the rental car companies sometimes play and now the resort parking fees we'll continue to use ME. Our 2 favorite parks are EPCOT and DHS therefore we are staying at Yacht Club this coming August to reduce travel. Also we plan resort meals like O'Hana on a MK day so we can just boat or monorail from the park to the Poly. Because our kids are 10 & 12 we also utilize Uber/Lyft when we need to go resort to resort. We did all these things last year and it was manageable, although we did have some longer that usual waits for Disney buses at times. Depending on when in Dec this was, you may have run into the PopWarner kids/families coming in. I ran into that once. The line for DME was way back to the rental car counters!!!! 25 mins just to get checked in!!! It was brutal. But, other than that one time, I've never waited in a line for longer than 5 mins, to get checked in. We never have a car at WDW. However, recently I've started relying more on Uber under the following conditions: (1) at resort and just missed a bus to the park and the next bus is in 20+ minutes; (2) coming back from Epcot, which, for some reason, it's always a really long wait for the bus, especially midday; (3) to and from DHS, since the current relocated bus area is quite a hike from the entrance and the Uber drop-off is closer; (4) when exhausted after a super long day. Uber/Lyft don't cost all that much for most trips on property, and it's much cheaper than renting a car and parking it at the resort. Just another way of thinking about the car rental vs. bus situation. We use the buses when they're convenient and timely and use Uber when they're not. We don't like ME or renting. 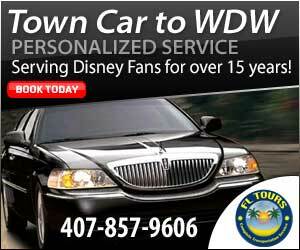 We will use a car service to WDW and use Disney transport around the parks. Too much waiting with ME. Rental car involves driving = not vacation for us. snappy and focusondisney like this. This is us too. We have used a town car service for years. We tried ME twice, the last time was earlier this month. It took us about 2.5 hour s to get to YC. We walked right up to check in. Then waited at least 20 minutes to board a bus & another 15 - 20 while more people got on. Add the travel time to WDW & the YC is the last drop off. We landed about 9:30 am & didn’t get to the resort til after 12. Not the quick experience everyone raves about. We are too OCD when returning to the airport to depend on ME. We prefer to schedule the towncar when we want to leave & not worry about how long other people will take loading & unloading the bus. We have absolutely no problem using Disney transportation on site tho. snappy and Babsy like this. Yea, we used ME several times over the years with less than favorable results, so we started renting a car. Renting at MCO got old, so we experimented with renting at the Dolphin. Much easier and infinitely more pleasant. However, we have moved on to a using a car service. It feels much more vacation ish to us. We stay exclusively at EPCOT resorts so at least we can walk or take a Friendship boat so bus travel is limited to AK and MK. Thanks God for that. We use Uber during NYC trips, not at home. Hesitant to try at Orlando but may try using Uber for access to AK next time. focusondisney and Babsy like this. We do try to stay in the MK and/or Epcot resort areas to minimize the amount of time on buses, but we make do with the Disney transport (for the most part) while in WDW. we have used Uber a couple of times while staying there, but there were a couple of issues, so we are now back to using taxis when we need a quick ride somewhere. Looking at the Minnie Van option for next Dec, perhaps.